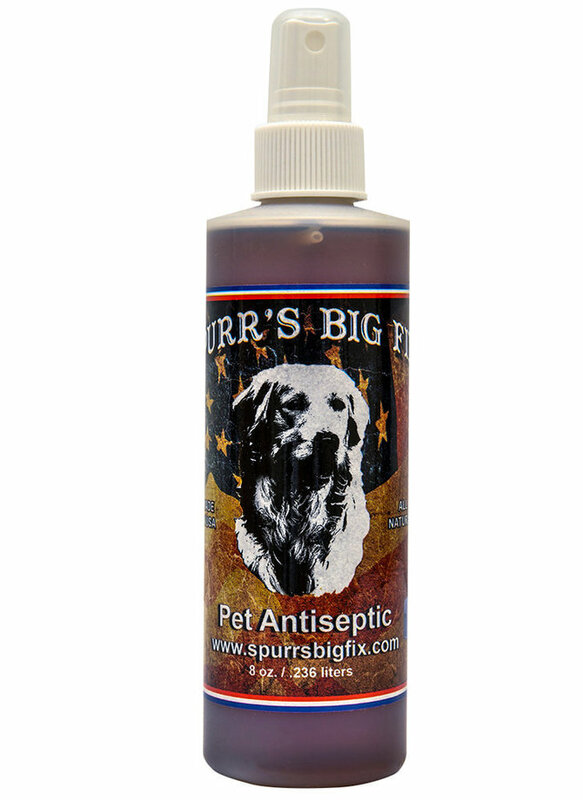 Spurr's Big Fix is an antibacterial and antifungal spray that is effective on wounds, cuts and scrapes... skin issues, hot spots, insect bites, sore, cut or injured paws. Quickly reduces pain and itching while treating the affected area. Shake well prior to use. Spray on clean, dry affected area. Repeat daily until condition clears. Keep out of reach of children. Keep away from eyes, may cause eye irritation. For animal use only. Inactive ingredients: Tea tree oil, menthol, eucalyptus oil, glycerin, and other essential oils.